GalliPro® Fit is a uniquely formulated probiotic combining three novel strains into one product, creating a 3-in-1 solution for some of the poultry industry’s biggest challenges. Research confirming the effective in vitro inhibition of the growth of E. coli will be showcased at the Congress on Gastrointestinal Function, where other central studies with livestock and poultry species for food production and biomedical research, as well as clinical and nutritional studies relevant to improving human health and well-being will be presented. New research confirms hatch-to-market benefits of probiotics in poultry production. Studies show broilers fed probiotics maintain performance on energy-reduced diets. At Chr. Hansen, the animal health and nutrition business supplies probiotics to various customers in the global livestock industry. Through the acquisition of US-based Nutritional Physiology Company (NPC), Chr. Hansen will further broaden this microbial platform and expand its presence into the beef cattle segment. With the completion and publication of the world’s largest clinical study on the immune effect of probiotics in adults, Chr. 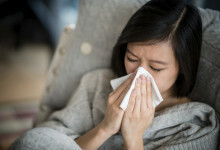 Hansen has obtained results indicating that the probiotic strain named L. CASEI 431® can shorten the duration of common cold and influenza-like illness, lower the use of health care resources and reduce use of antibiotics.